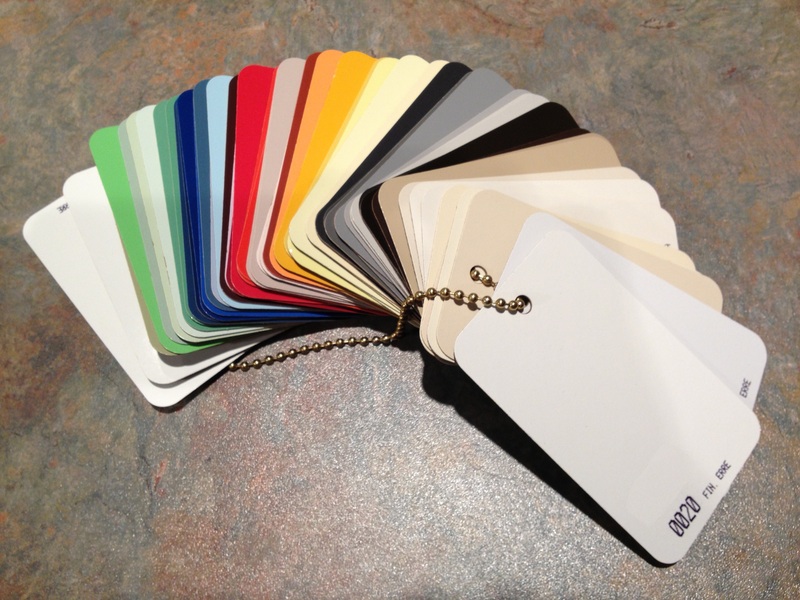 So many of you have asked me about the different finishes that are offered by the various manufacturers that I’ve decided to offer some information. 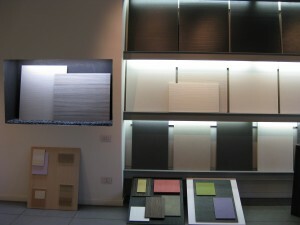 I will try to assist you in choosing the right finishes and materials, in selecting your new kitchen. We’ll start with one of the most common finishes and the most cost-effective one – laminate. Wikipedia – Lamination is the technique of manufacturing a material in multiple layers, so that the composite material achieves improved strength, stability, appearance or other properties from the use of differing materials. A laminate is usually permanently assembled by heat, pressure, welding, or adhesives. 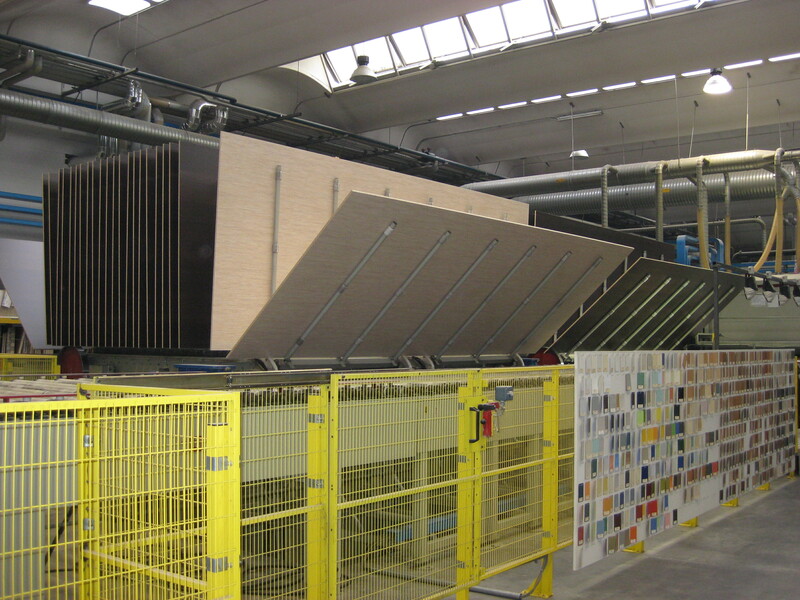 Thermofoil (or thermoplastic) – a vinyl like sheet, that is applied onto MDF doors, in various shapes, using a heat. The access vinyl, then gets cut off around the door. Usually comes in white, off white and wood colors. Pros: – realistic ‘photo like’ appearance. – easy to clean, as it is a vinyl finish. Cons: – thermofoil must be produced in very large quantities, of each color. 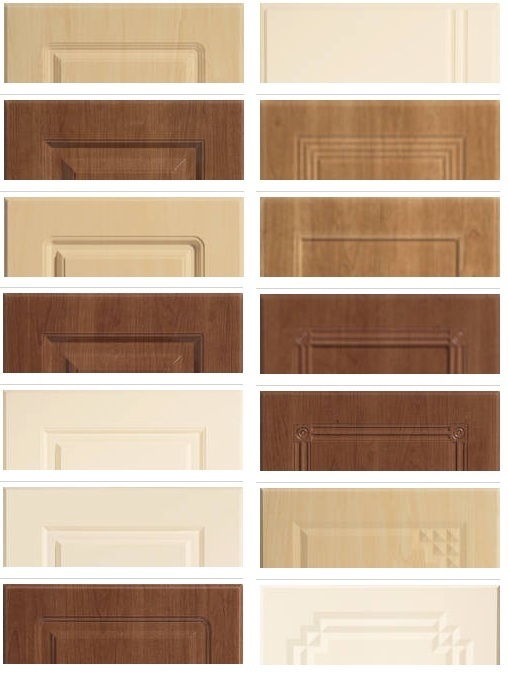 – due to the process, the finish is only on the front and edges – the back of the door is usually white. – over time, high temperatures (such as the one generated by self cleaning ovens) can cause the vinyl to shrink and delaminate. Thermofoil lost some popularity in recent years, as a result of the above cons and the introduction of other attractive laminate materials. High and Low pressure laminate (HPL and LPL) – application of printed paper-like material, over sub straight, using heat and pressure. Available in just about any color, wood colors and with or without a light texture (wood grain or other). Pros: – very realistic ‘photo like’ appearance. – can be produced in smaller quantities than thermofoil, at a competitive price. Cons: – can only be used on flat surfaces, so only slab door design can have this finish. – ‘self edging’ resulting in poor look and quality and so some type of other edging is preferable – abs (matching color thicker plastic) and aluminum edging are most common. 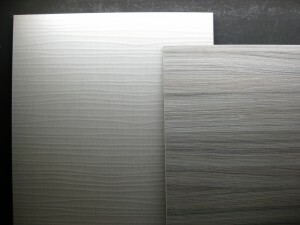 Thermo-structure laminate – this is a more recent form of the above laminates, but with a heavier ‘real looking’ texture. The texture is achieved by high pressure press that has textured steel plate, onto the laminate material. Available in just about any color, wood colors and with strong textures, such as wood grain and many others. Pros: – looks more real than the ‘real thing’. – comes with a matching edge, to create even more realistic look than the laminates above.